Peet's Coffee is not a friendly neighbor, according to one neighbor. 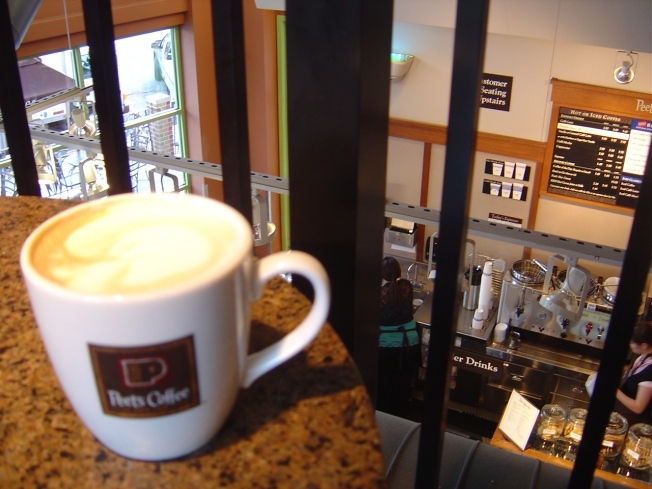 Peet's Coffee & Tea may have started as a small mom and pop operation in Berkeley but 44 years later they are the big guy on campus. Now one of the smaller fishes is taking aim at the corporate coffee chain. The owner of the Bread Garden Bakery in Berkeley is trying to pull some of the bread crumbs from its neighbor Peet's expansive table. Owner David Morristells Berkeleyside he wants to become such a nuisance to Peet's that the chain decides to buy their fresh baked goods from him. Morris says Alfred Peet decided when he first opened up next door to his bakery in 1980 not to sell baked goods to help his neighbor out.